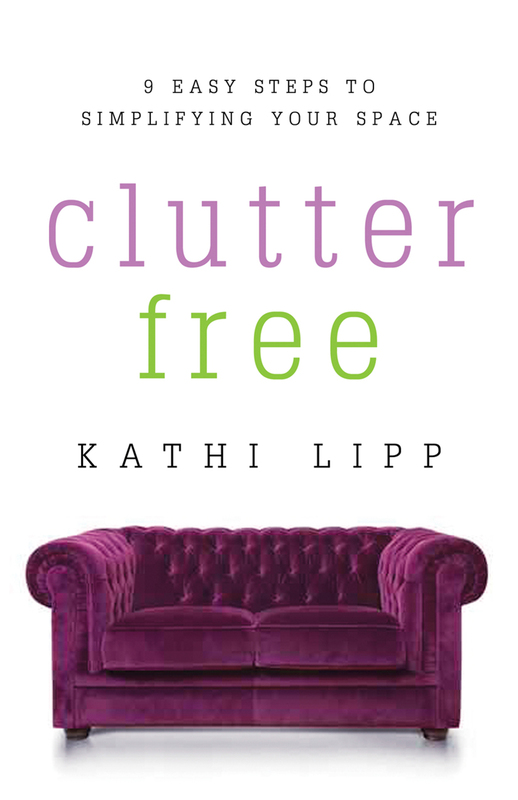 Even if you don’t think you have clutter, read this book! I didn’t think I had clutter, and I really didn’t have much, but I sure did have a lot of things that I’d hung on to for sentimental reasons. I ended up having eleven bags of things to donate to charity and about six bags of things that needed to go into the trash! And that was just round one! Kathi’s book helped me to see the reason behind why we keep things. Besides sentimental attachment, I discovered that part of the reason I hung on to so many things was for practical reasons. You know…what if I need it…what if I can’t afford to buy this later…what if I can use it to make something else with it. Who needs six old tubes of mascara? Who needs six sheet sets for one Queen bed in your house? Who needs twenty pairs of black or brown socks? What I also discovered after applying Kathi’s principles in Clutter Free is how much you gain by giving stuff away. You gain satisfaction that you’ve helped people who don’t have as much as you. You gain the peace of mind that your house is no longer a hazard to your health because you won’t trip on the things all over the floor and hurt yourself. I highly recommend Clutter Free! I’m not sure I agree about the bedding and socks! Lots of socks means less chance of a ‘laundry crisis’ and lots of bedding means more variety and stuff lasting longer (as long as you have a proper rotation system like I do). Thing I might cling onto me clutter for a while yet. Zoe, I totally see your point! I have this one set of sheets that I love so much, I wash them and put them right back on the bed! Haha! ouch. that is all. carry on.